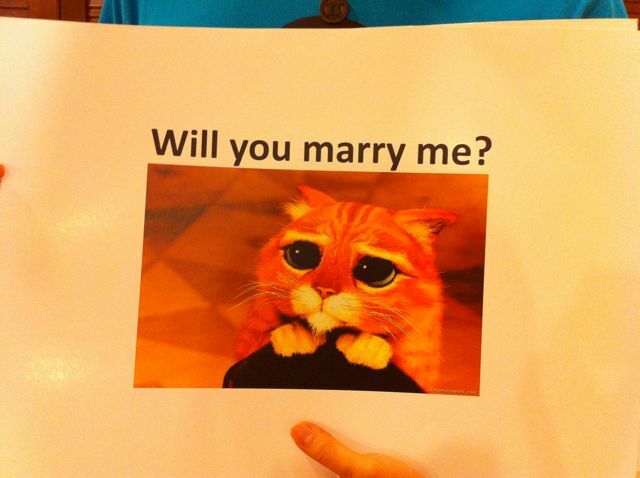 A video of a Internet Meme marriage proposal is going viral online. Out in Malaysia, Tim had a very romantic, genuine and touching proposal planned for his girlfriend Audrey complete with Internet meme images every step of the way. Through a glass door, Tim flips through his slides of text and meme photos. Watch the video to see if Audrey says yes or no. (BTW – look Tim was prepared to show an internet meme photo no matter what her answer would be.) How many memes can you identify. Read Tim’s blog about his experience here and Audrey’s blog here. More epic wedding proposals: Secret Mission, New York Comic Con flash mob wedding proposal, and Asian American flash mob proposals. This entry was posted in shorts on December 22, 2011 by Kevin Hsieh - channel APA.